An unrivalled pedigree! Optopol were the first company to manufacture and provide the worlds first commercially available Spectral Domain Optical Coherence Tomographer. Optopol now also provide the first commercially available OCT Biometer, essential for myopia management. Optopol’s supreme experience in Spectral Domain OCT facilitates the market with the modern OCT offering remarkable simplicity of operation. The new SOCT Copernicus REVO meets all demands in daily routine practice. OCT made simple as never before. All it must be done is to position the patient and press the START button to acquire examinations of both eyes. The device will make examination independently. 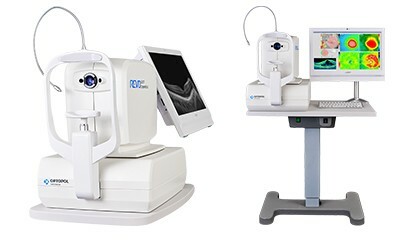 As Fundus imaging is predominately standard in most sight test fees, keeping the Revo as a separate OCT unit promotes and facilitates the uptake and justification if charging in addition for an OCT examination. At the same time you can transfer true colour retinal images from an existing fundus camera, along the digital stills and movie files from a slit lamp which can be attached to the Revo’s patient data base then saved and exported if required. Small system footprint, various operator and patient positions allows installation of the SOCT Copernicus REVO even in the smallest examination room even on a combi unit. A variety of review and analysis tools give the operator a choice of using it as a screening or as an advanced diagnostic device. The noise reduction technology provides the finest details proven to be important for early disease detection. Single 3D Retina examination is enough to perform both Retina and Glaucoma analysis based on retinal scans. Software automatically recognize 8 retina layers. 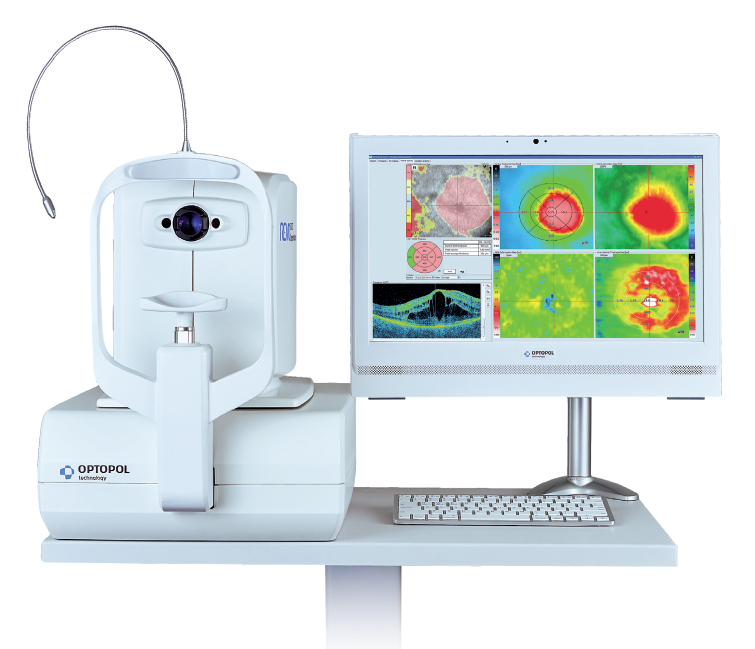 Thus allowing a more precise diagnosis and mapping any changes in the patient’s retina condition. For standard examinations no additional lens is required. Additional adapter provided with the device allows to make wide scans of anterior segment. High density of standard 3D scan allows to precisely track the disease progress. Operator can analyze changes is morphology, quantified progression maps or evaluate the progression trends. A proficient networking solution increases productivity and an enhanced patient experience. It allows you to view and manipulate multiple examinations from review stations in your practice. Effortlessly helping to facilitate patient education by allowing you to interactively show examination results to patients. Every practice will have differing requirements which we can provide by tailoring a bespoke service. There is no additional charge for the server module.